Lyle Link (sax), Brian Ho (Hammond B3 organ) & Leon Joyce (drums) – A Night of SOUL! Just when you thought you knew everything about Jazz recording artist Jacques Lesure, he offers up yet another dimension of his existence which transcends any artistic limitations the world may have tried to relegate him to. Currently a resident of Los Angeles, California Jacques Lesure is a Detroit, Michigan native. His classic style along with his innovative, yet sincere approach to the music, are an integral part of the signature Jacques Lesure sound. Guitarist, Educator and Actor Jacques Lesure is an enigma. 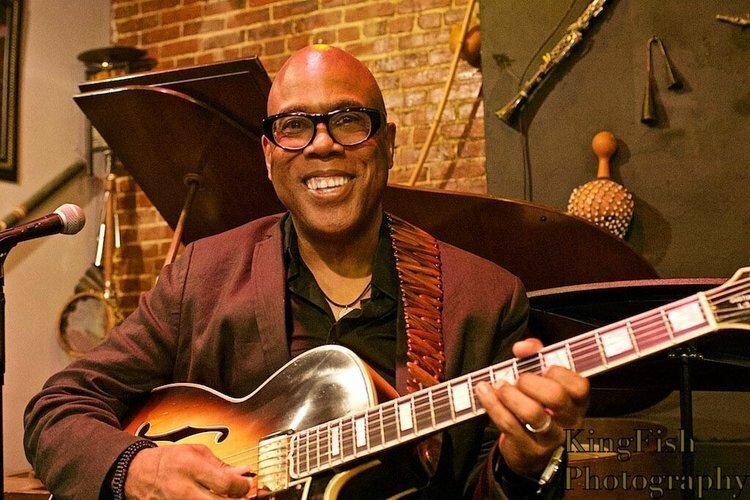 His sound is steeped in the rich tradition of his mentors like George Benson, Kenny Burrell and a host of others, but more than that, he’s also a visionary. It’s no secret that his music is rooted in the foundations of gospel, blues and jazz. It’s his belief that the sounds of “today” are equally as relevant as those of glorious days gone by. It is that synergy that makes his music swing with a style like no other.